Santa Ynez Self Storage is Buellton's best self-storage facility with over 400 drive up storage units. Santa Ynez Self Storage is locally owned and operated and offers more conveniences and better service than any other facility in town. Whether you need self storage units for your personal or business needs, Santa Ynez Self-Storage offers clean, secure storage units at an affordable price. Please feel free to click your way through our website or contact one of our professionally trained self storage staff members. We are ready to assist you in any way we can. Santa Ynez Self Storage, located in Buellton, California, rests snugly in the Santa Ynez Valley. 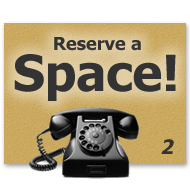 Santa Ynez Self Storage offers more conveniences and better service than any other storage facility in Buellton. Our objectives are to deliver safe, clean and convenient self storage options for all our customers. We have small storage units for file boxes and other small valuables as well as large storage units for a whole home of belongings or even a car. Santa Ynez Self Storage offers self storage units for business needs like product inventory and warehousing of work equipment as well. We believe we are different than other storage providers and hope you will feel the same way. Thanks ahead of time for making Santa Ynez Self Storage your preferred storage facility in Buellton! Caught between homes? Not sure when your new home will be ready? Rent your storage unit for as short or as long as necessary. More families and businesses trust Santa Ynez Self Storage for their every storage need, no mater how long or short the storage unit is required. 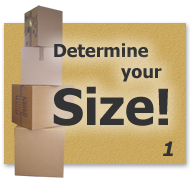 With a wide variety of storage room sizes available, you are sure to find the size to fit your storage needs. Our job is not to rent your the largest, most expensive storage unit we can. Rather we will help you find the right size for your needs at the best value possible. If you're not sure what size you need please contact us. We are more than happy to help you! We know storage inside and out. We don't just offer storage unit rentals we offer solutions. 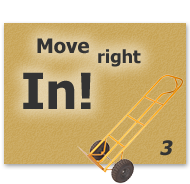 There is a right size for you and your belongings. Our full-service self storage facility is designed for your security, safety and convenience. All with affordable prices and a helpful, friendly, professional strained self storage staff. Santa Ynez Self Storage offers full service shipping including packing, labeling and tracking for all your wine & other shipping needs using UPS, GSO, DHL.